The Singaporean government has a strong track record, and investors believe its capable of the right kind of planning to remain a leading economy. Since it became an independent nation 50 years ago, the island of Singapore has been hailed as nothing short of an economic miracle, and this sophisticated and wealthy nation is often compared to Switzerland for a multitude of reasons, including security and prosperity, its ability to attract foreign investment and channel that into improving the standard of living of its citizens, and, more recently, for being a major hub for private banking. But in the last few years, Singapore’s successful model of economic growth has started to show some signs of stress and has resulted in gaps that, if not addressed properly, could perhaps make growth much more challenging in the years to come. One of the greatest issues that Singapore faces is that of an aging population combined with low birth rates—a problem that affects the economy in a number of ways. Singapore’s government has tried to counter the issue by upping immigration quotas, however, that policy has proved unpopular and it’s also brought to light gaping social and economic inequalities that would prove negative to growth and dynamic business. The arguably authoritarian nature of the Singaporean regime is also a cause for increased concern and discontent in a number of factions. All the same, the Singaporean government has a strong track record and investors believe it’s capable of the right kind of planning to remain a leading economy for the next 50 years. The Singapore government’s Sustainable Singapore Blueprint is one of the most significant undertakings for the future of the island, not only because it aims to create a cleaner, greener future Singapore, but because it has also attracted some of the largest global companies in the field of sustainability to test out their products and services. Singapore has always been open to new business and to innovation, and “the small, multi-cultural market of sophisticated and affluent consumers also allows companies to try products, services and approaches before rolling them out to larger Asian countries,” said Rajeev De Mello, head of Asian fixed income at Schroders in Singapore. 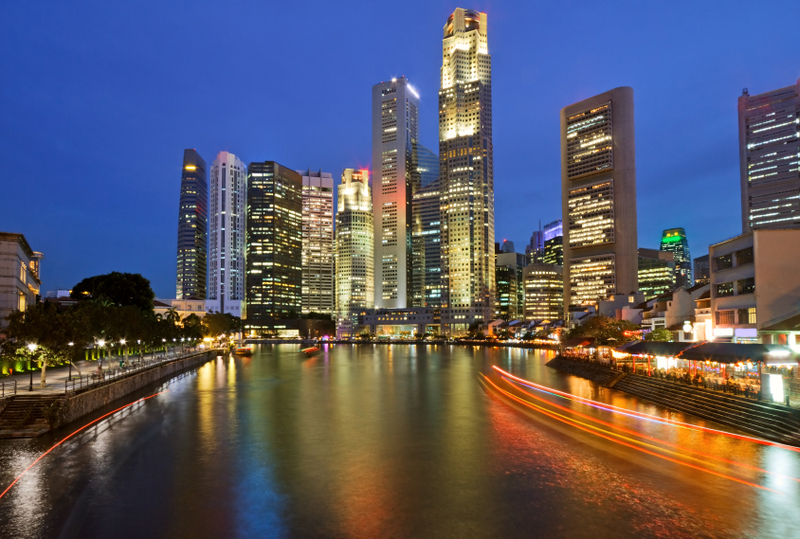 From a market perspective and a time when it’s become increasingly difficult to find find good value, investors like Brian Jacobsen, chief portfolio strategist at Wells Fargo, are excited about Singapore because the market is attractively valued. “Compared to Korea and Japan, to Hong Kong and Malaysia, Singapore looks a bit cheaper,” Jacobsen said. The MSCI Singapore Index is currently trading at 13.42% times next year’s earnings, Jacobsen said, which is at discount to other markets and also significantly below its 2007 valuation peak of 17.32% times next year’s earnings. Singapore has been and remains an attractive economy to U.S. investors for its highly educated workforce, strict rule of law and friendly business environment, among others, Pepper said. With no barriers to trade or capital, it is easy enough to establish a business in Singapore, and government representatives are also “enthusiastically supportive of the development of a strong wealth management and family office industry in Singapore,” she said.